Description: The horse chestnut reaches a height of up to 80 feet and has a thick, dark-brown trunk. Horse chestnut leaves are finger-shaped and can be up to 8 inches long. 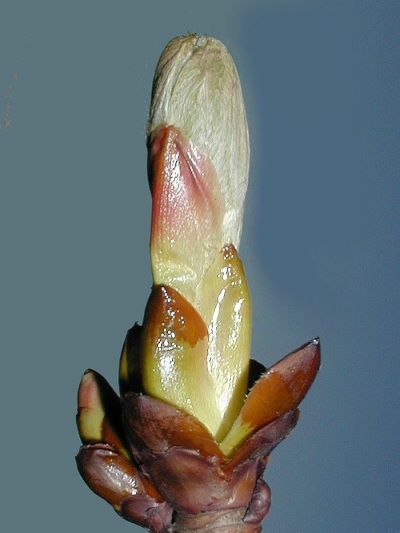 The Bach essence Chestnut Bud uses only the buds, which are formed at the beginning of April.